A native of Awendaw, SC, Charlton Singleton began his musical studies at the age of three on the piano. He would then go on to study the violin, cello, and the trumpet throughout elementary, middle and high school. In 1994, he received a Bachelor of Arts in Music Performance from South Carolina State University. Since that time, he has taught music at the elementary, middle, and high school levels, as well as being an adjunct faculty member at the College of Charleston. Currently, he is the Artistic Director and Conductor of the Charleston Jazz Orchestra; a 20 piece jazz ensemble of some of the finest professional musicians in the Southeast and the resident big band in Charleston, SC. 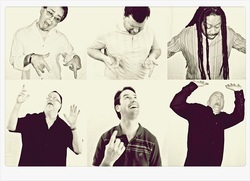 As a performer, Charlton leads his own traditional jazz group (The Charlton Singleton Quintet) and a contemporary group (Charlton Singleton Band). He has had the good fortune to play in France, Great Britain, Scotland, Germany, Austria, Italy, Switzerland, The Netherlands, as well as many great cities throughout the United States. He has also shared the stage with and/or worked with some of most talented entertainers in the world. Outside of music and entertainment, he is a devoted husband and proud father of two. PlaneJane, one of the Carolina's best party bands, is an six-piece ensemble that plays exciting hits from the sixties to the present. Based in Charleston, South Carolina, the talented group has performed over four-thousand shows in eight states to great acclaim since its inception in 1997. This band is built to keep the crowd on its feet, dancing to electrified funk tunes that are punctuated with swinging horn section solos, hip-hop, funk, shag and disco songs, and rock and roll favorites from every era. PlaneJane has five vocalists, each with a distinctive style, who harmonize to form a trademark vocal sound over the driving rhythm section, while three multi-instrumentalists rev up the audience. Soul Fish has been together now for four years and has performed many private functions, wedding receptions, and special events including: The Riverfront Park Grand Opening Celebration for the city of North Charleston Cultural Arts Department, Welcome Home for the 16th Airlift Squadron of the U.S. Air Force, Party at the Pointe for Charleston Harbor Hilton, The Blessing of the Fleet, The Bridge Run, Q104.5 10th Anniversary Celebration, and many more. Soul Fish has also performed many clubs all along the East Coast including: Carolina Yacht Club, I’on Creek Club, The Windjammer, Henry’s, and Wild Wing Café. 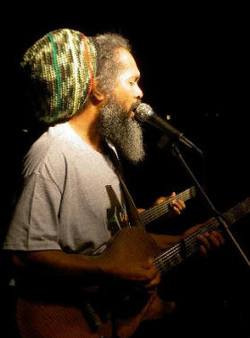 The strong roots of Mystic Vibrations began in Little London, Westmoreland, Jamaica and brought to the US in 1992 by Ric Williams. Credited to their name are two self released studio albums (People Get Ready and Busy Street) and one live recording (Live In Finlay Park). A busy schedule keeps the band constantly on the road touring the eastern US from New York to Florida. The band is a four-piece rhythm section of exceptionally talented musicians; Andrew Whitaker (drums), Frank Mitchell (bass), Janae Davis (keyboards and backing vocals) and Ric Williams (guitar and lead vocals). 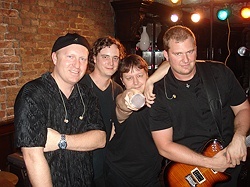 The band has established a large fan base that has steadily grown over the years. Their music speaks of love, unity, peace amongst all mankind, and the trials and tribulations of oppressed people. 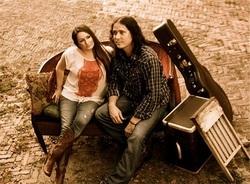 Featuring the lead vocals of both Beth Sanders and Mike Thompson, the band offers the best of vintage and contemporary country music and top 40. Along with powerful voices, the Gracious Day sound is filled out by Beth's melodic piano work, Mike's steady rhythm guitar and the resounding drumming of Ben Meyer, the group's third harmony singer. Their set list consists of anything from male and female lead songs to duets and full harmony. Simply put, Gracious Day is an impressive band that blends amazing vocal harmonies with intriguing musical voicing. This band fits so many types of events from rehearsal dinners, cocktail hour, wedding receptions, festivals and more. They also offer a variety of ensembles from a duo to a six piece band.